The past couple of weeks have been very exciting, filled with lots of traveling, interesting work at Casa Sicilia, and fun adventures in Novelda! 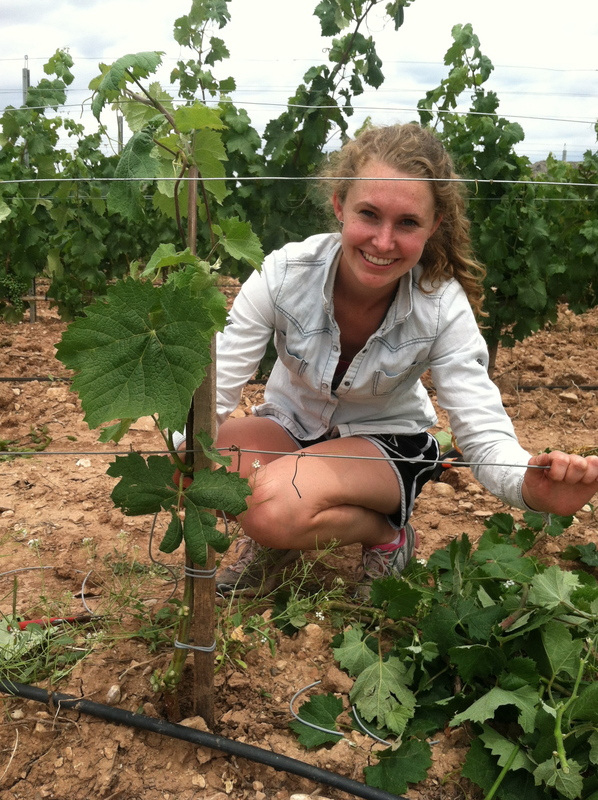 Recently I have been working a lot in the vineyards. 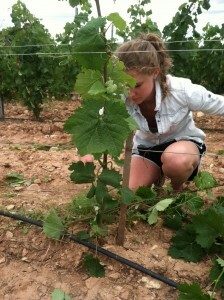 I work with two other permanent vineyard workers. This week we completed an entire parcel forming the baby vines. 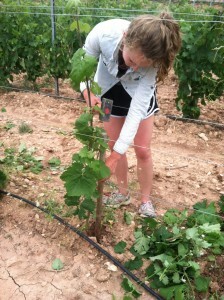 It is an important job because the vine will keep this shape for the rest of its life. 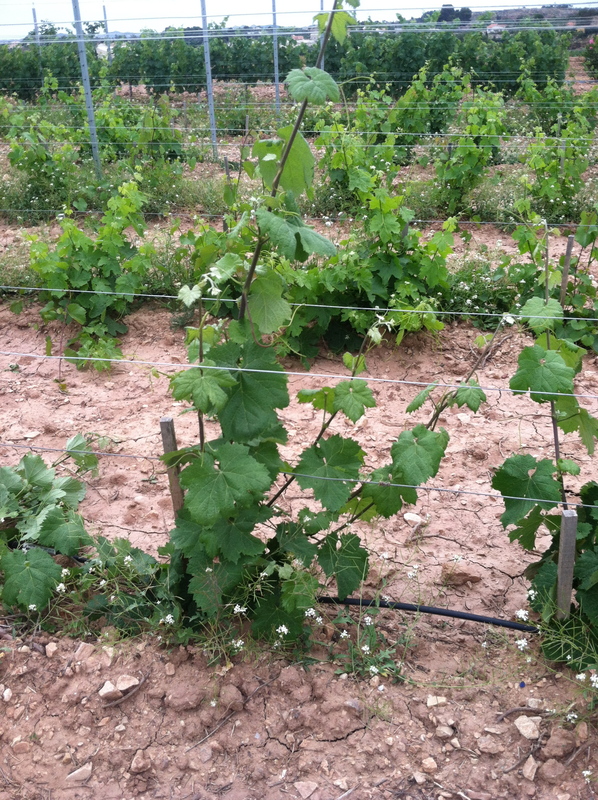 The vines have been grafted onto American rootstock, which are resistant to the pest, Phylloxera. The graft is a couple inches under the ground so the entire top part is the variety that they want. This is a red variety is called Cinsaut that the wine maker is going to experiment with in the Celcilia Rosé. It is a very heat resistant variety and is used in blends to add spice and aromatics. It would be good for a rosé because it has very little tannins but is very aromatic. 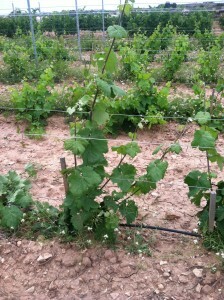 In order to form the vines we find the straightest shoot and cut away the others. If there is any American vines that are growing from the bottom graft, we pull them out by their roots so they don’t grow back. Then we move the stake as close to the shoot as possible to make sure it will grow straight. We tie the shoot to the stake on the right hand side so that later when it is taller we can bend it over to form the cordon. By the end of eight hours my legs hurt like crazy because we are squatting and standing and squatting and standing a million times. After a week of this I will have legs of steel! But it always feels good to look back on a completed row and see how perfect all of the straight little vines are! Outside of work I have gotten to tour a lot of Spain. During the weekend I visited some friends in Madrid and toured the city. It is HUGE but very cool. OH AND I have been converted into a coffee drinker! Most afternoons I go to a park in Novelda with a group of Spanish friends from Novelda that have adopted me this summer. They can’t really get through the day without their afternoon coffee. Anyways that is a little about what I have been up to. Adiós for now!